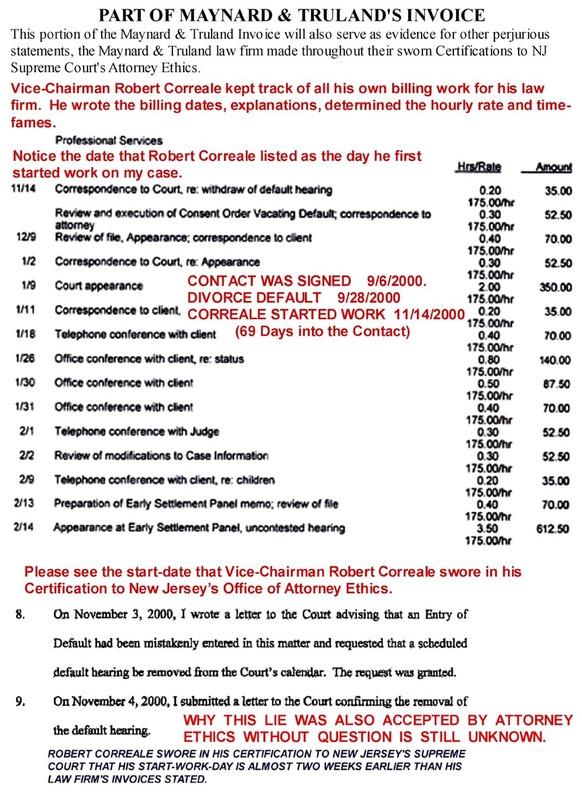 A state Supreme Court attorney ethics Vice-Chairman Robert Correale misuses his high level government and court office to Cover-Up and block ethics violations and legal malpractice charges against his own law firm, Maynard & Truland. 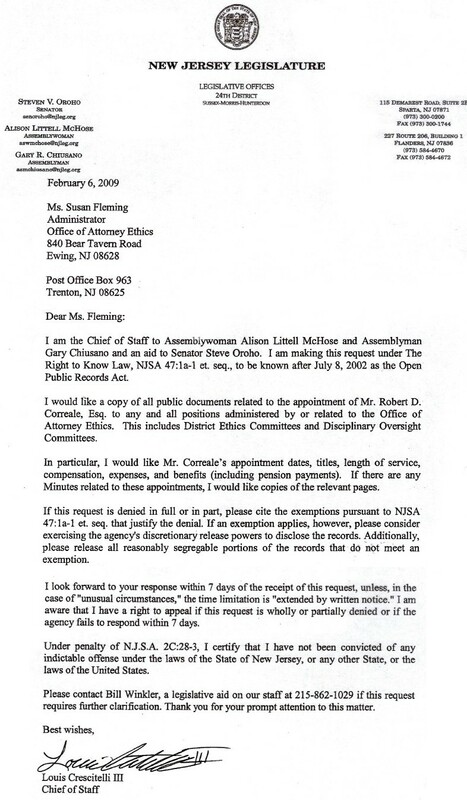 After sixteen (16) years, the Cover-Up leads all the way up to the Governor's Office, the Attorney General's Office, the state's Supreme Court and Superior Court. 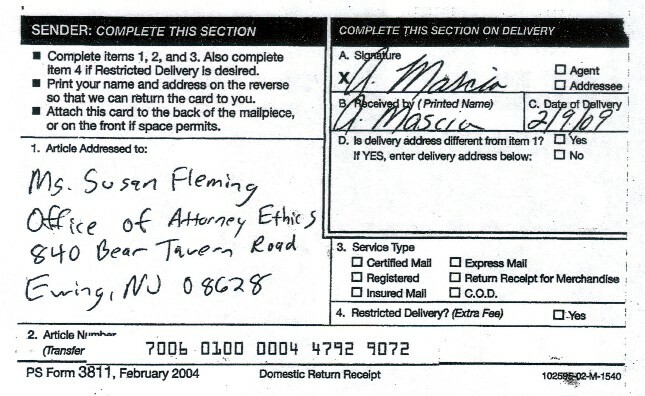 I'm not trying to make myself out to be a victim of New Jersey Corruption. 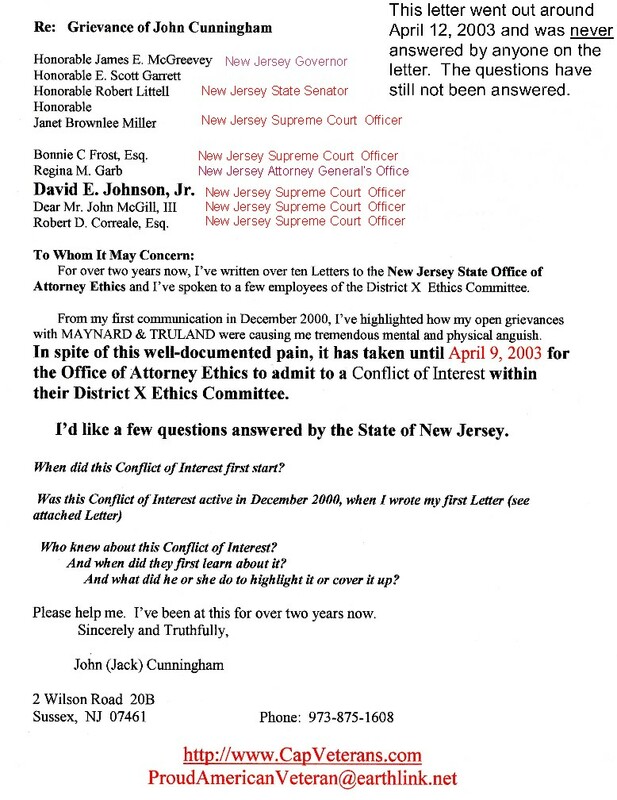 Below are actual segments taken from lawyers' certifications to New Jersey Supreme Court's Office of Attorney Ethics. 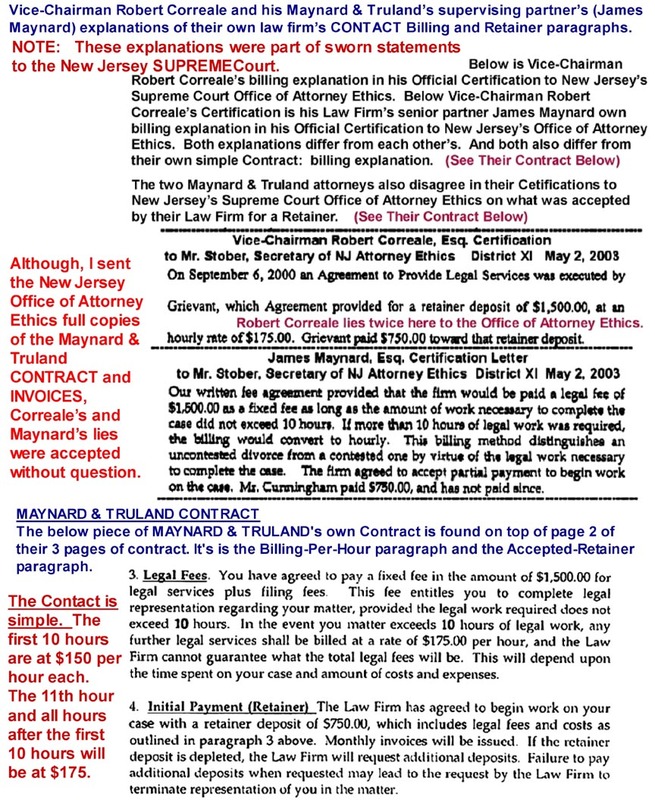 I prove on this page that these official sworn statements to be lies... by using a portion of the Law Firm's actual own CONTACT, their own INVOICE and Superior Court filed documents. 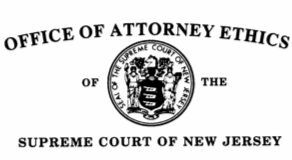 Although, these lies are clear to recognize even to the average citizen, the New Jersey Supreme Court's Office of Attorney Ethics accepted them, and other lies, without question. 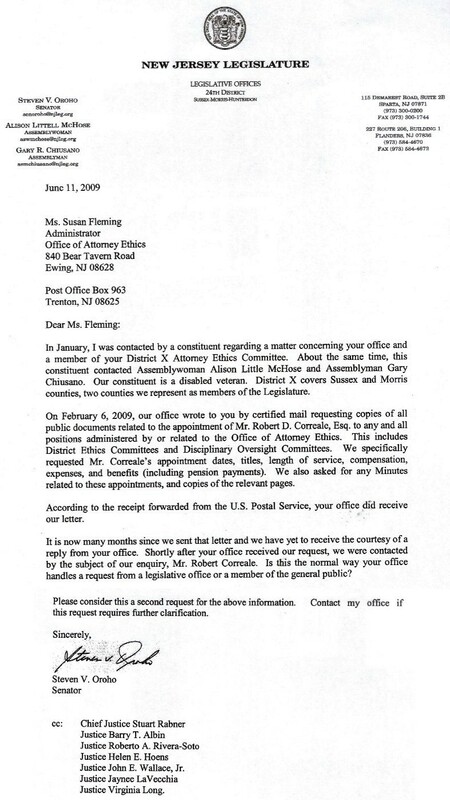 That is because the biggest liar of them all was a Vice-Chairman of Attorney Ethics, ROBERT CORREALE. 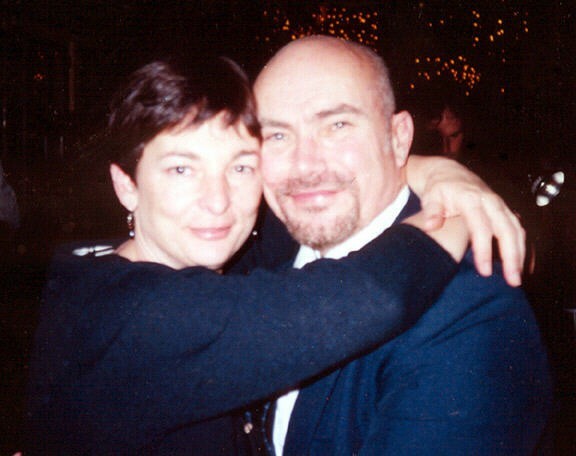 He was protecting himself, along with protecting his Law Firm from Legal Malpractice charges. 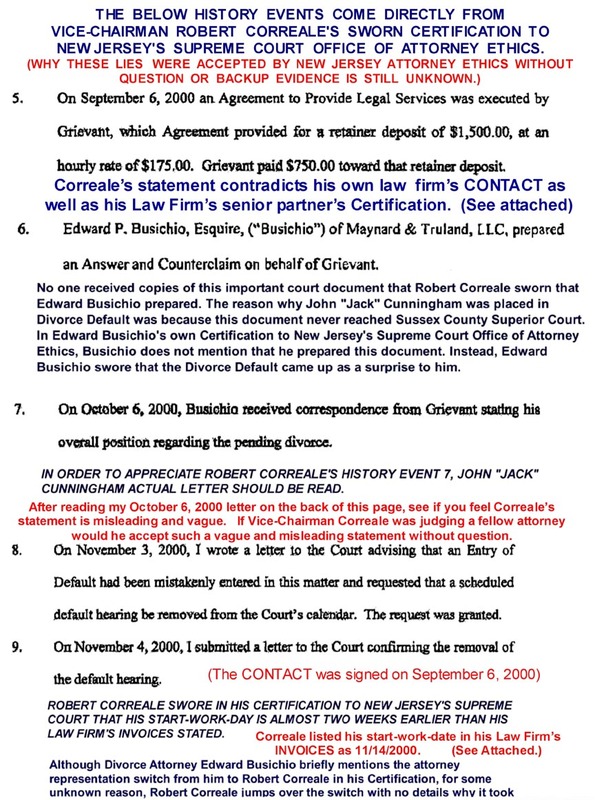 Soon after receiving the above letter, MAYNARD & TRULAND's supervising partners quietly (And without my permission) switched my representation from their divorce attorney Edward Busichio to one of their general-practice attorneys, ROBERT CORREALE. 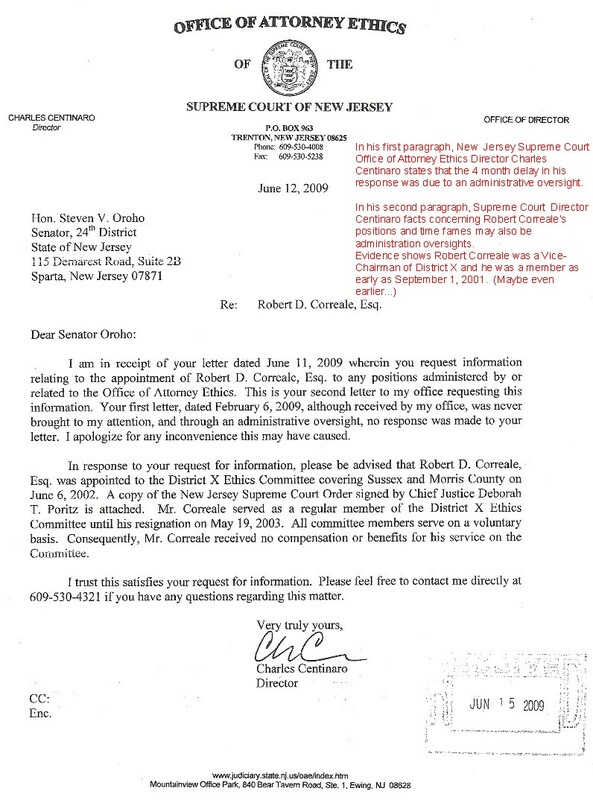 Correale was the local Vice-Chairman of New Jersey's Supreme Court Office of Attorney Ethics. 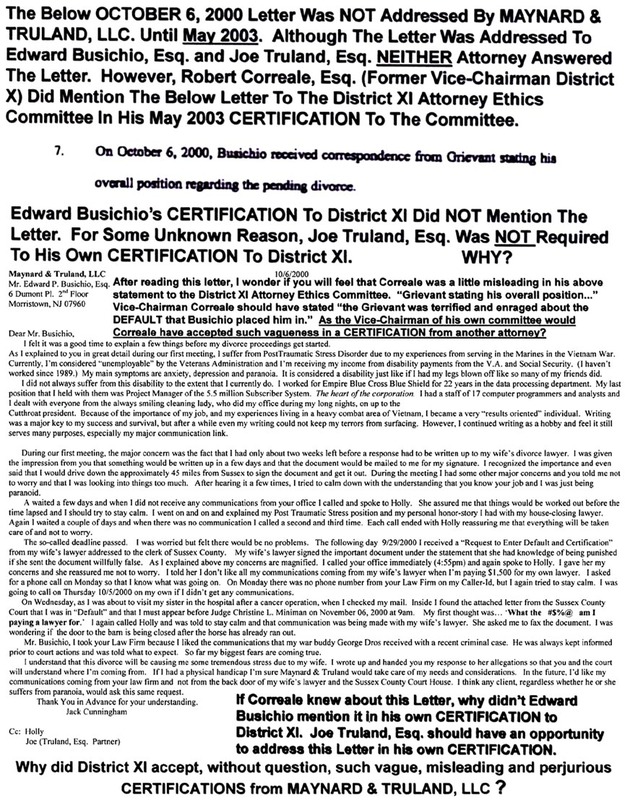 Vice-Chairman Robert Correale does not mention this switch in his Certification to Attorney Ethics; however, Edward Buschio briefly mentions the switch in his own Certification to New Jersey's Supreme Court Attorney Ethics. 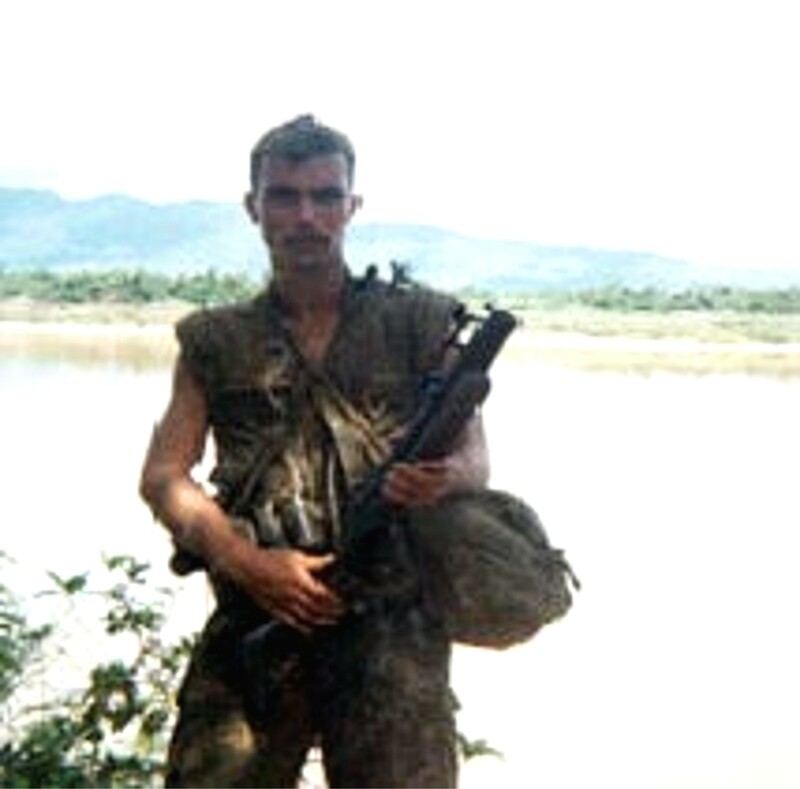 Please get in-touch with your federal politicians and ask them to support John "Jack" Cunningham civil right to due process. 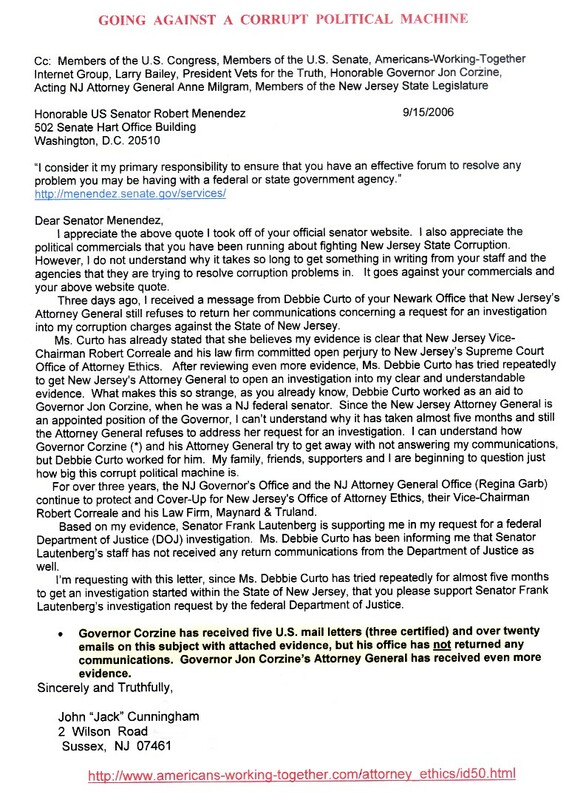 Please ask them to pressure the Department of Justice (DOJ) to investigation Jack Cunningham's charges against the State of New Jersey.